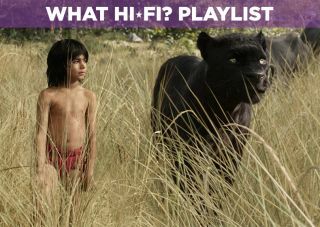 Jungle Book – film review | What Hi-Fi? Jon Favreau's remake of The Jungle Book delivers a stunning visual treat and plenty of entertainment, even if it can't match the charm of Disney's original. It's often advised not to mess with the classics - but in Hollywood, that's just not going to cut it. So it is that Disney has revisited one of its most famous animated films, The Jungle Book. Originally released in 1967, a lot has happened in the nigh-on 50 years that have followed, not least the handing over of the animated-movie crown to Pixar, which produced a succession of its own instant classics in the '90s and '00s. But with Disney's CG animation stock arguably once again in the ascendency, perhaps now is the perfect time for a reboot? Jon Favreau directs a screenplay written by Justin Marks (Top Gun 2, TV's Rewind), which aims to straddle the original Disney adaption and the Rudyard Kipling books from which it was drawn. It's said that Kipling's books were a touch too dark for Disney's tastes at the time of the original - and this depiction undoubtedly feels a little more serious than the 1967 version. There are a few more fast-action scenes, and certainly moments of tension are here, but perhaps they come at the expense of some of the fun of Disney's original. While not a scene-by-scene remake of the 1967 version, the 2016 Jungle Book doesn't veer too far from the well-known story, perfectly suited as it is to the Hollywood framework. Mowgli, a young 'man cub' has been raised deep in the jungle by a pack of wolves, all the time tracked by a tiger none too pleased with his presence (and hungry for human flesh). Should Mowgli be banished to live with the men and their devastating 'red flower' (fire) or can he continue to live in harmony with the jungle? A battle of hearts, minds and 100kg animals ensues. You certainly can't argue with the quality of the picture. The jaw-dropping detail of the CG animation in Jon Favreau's ‘live-action’ take on the classic story arguably makes the remake worthwhile on its own. The jungle has never looked more real, and neither have its inhabitants. The fur of the prowling, predatory Shere Khan, menacingly voiced by Idris Elba, is impossibly realistic, while Baloo, the lovable, bumbling bear, whom Bill Murray predictably helps to steal the show, stumbles and staggers around the screen so perfectly you’ll forget you’re watching animation at all. The animals are voiced by an all-star cast, also including Ben Kingsley as Bagheera, Scarlett Johansson, who appears briefly as Kaa, and Christopher Walken who turns the ridiculously huge King Louie into a New York wiseguy, sneeringly delivering Mowgli an 'offer he can't refuse'. Mowgli is played by Neel Sethi, a 12-year-old Indian-American from New York, who does an expert job of interacting with his imaginary cast while delivering dialogue that aims to appeal to young and old alike - and for the most part succesfully avoids ever becoming either too complex or too corny. Those of us who remember the original Jungle Book will no doubt instantly be able to recall its brilliant songs and - whether they ever could - we're not sure the modern version quite does them justice. Only a couple are included, The Bare Necessities and I Wan'na Be Like You (Trust In Me, sung by Scarlett Johnasson, makes an appearance over the end credits), and they're somewhat muted by comparison, lacking the playfulness of the originals and feeling somewhat restrained. Thankfully, there's enough going on elsewhere to leave us satisfied. Alongside the sumptuous picture, there's a thunderous soundtrack, with rainstorms and buffalo stampedes sure to give any surround system a workout. It's also available in 3D - we'll admit it's been a while since we watched a 3D screening – and the RealD 3D presentation we watched successfully adds an extra element of immersion. The game of chase through the jungle played by Mowgli, Bagheera and the wolves proves a particularly good example of what the technology can do, as does a terrific scene involving kidnapping monkeys. We wonder whether the overall detail to the picture might look even more stunning in 2D but there's certainly a case to be made for enjoying the 3D experience here. The Jungle Book (PG, 105 minutes) is released in cinemas in the UK on 15th April.